Flux aids in the smooth flow of solder for an attractive bead. 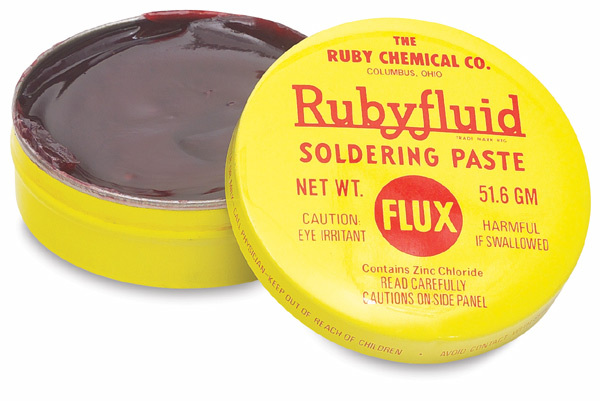 This zinc chloride paste flux is easy to use and best suited for working with copper foil. Caution — Zinc chloride is corrosive and causes burns to any area of contact. It is harmful if swallowed or inhaled. Follow instructions for use carefully. Zinc chloride is not suitable for use by children. ® Rubyfluid is a registered trademark of Ruby Chemical Co.® Diamond Tech is a registered trademark.